The Aston Martin Owners' Club (AMOC) visits Donington Park this Saturday (20 April) with machines from one of Britain's greatest manufacturers going wheel-to-wheel throughout the day. The line-up will feature several AMOC divisions including the AMOC Intermarque Championship, Aston Martin GT4 Challenge, Jack Fairman Cup, Classic Restoracing Championship plus the Petro-Canada Lubricants Porsche Club Championship. 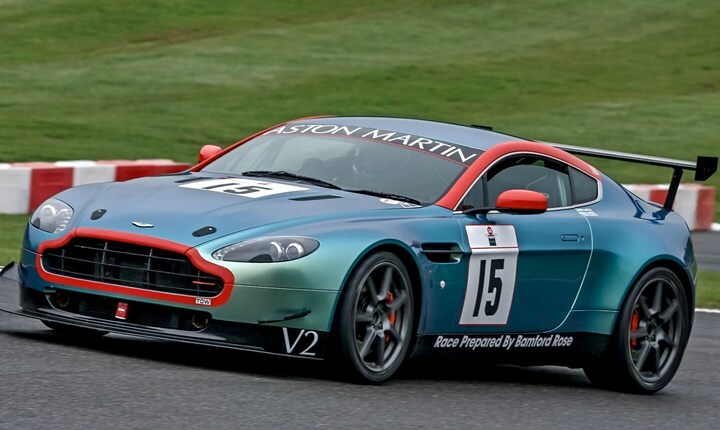 The Aston Martin GT4 category provides the opportunity for modern GT4 cars to take to the track, with the added drama of pit stops thrown in, whilst the Intermarque Championship pitches various Aston Martins against similar high performance models from Jaguar, Ferrari and Porsche, with cars ranging from the '50s to the '90s. Also competing this weekend includes the HSCC Historic Formula 3 series as a number of single seaters howl their way around the track. Eligible vehicles include open-wheel machines that have competed across the race tracks of Europe between 1964 and 1970. The Porsche Classic Restoracing Championship will also feature with competitors challenged to fully restore a Porsche 986 Boxster S before the start of the season. Vehicles will be dressed in a full racing livery inspired by the rich motorsport history of the German marque so expect to see some eye-catching machines blasting their way around the track! The paddock will be open for this event providing spectators the opportunity to get up close to the machines as they're prepared for battle. Tickets for the Aston Martin Owners' Club Championships at Donington Park (20 April) are available online for £12 until midday Wednesday (17 April) or on the gate for £16 with free entry for under-13s. For more information, please call 0843 453 9000 or click here.